I haven’t been to 7A in a while, so it was nice to go back for brunch the other week. the have a $14.95 brunch special which includes a brunch cocktail and coffee. the menu is quite versatile, they have sweet and savory and for an additional buck or two you can get a nicer option or even steak and eggs. 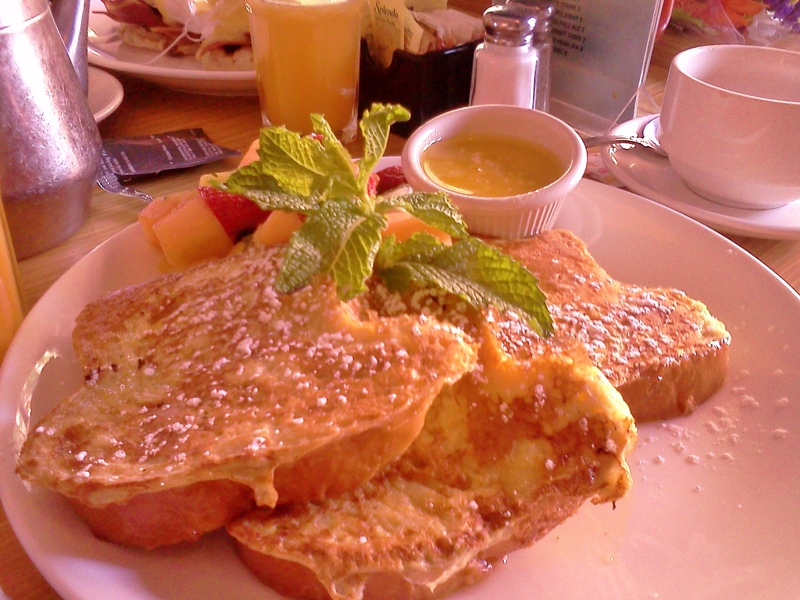 the french toast was very yummy, I loved the melted butter it came with. 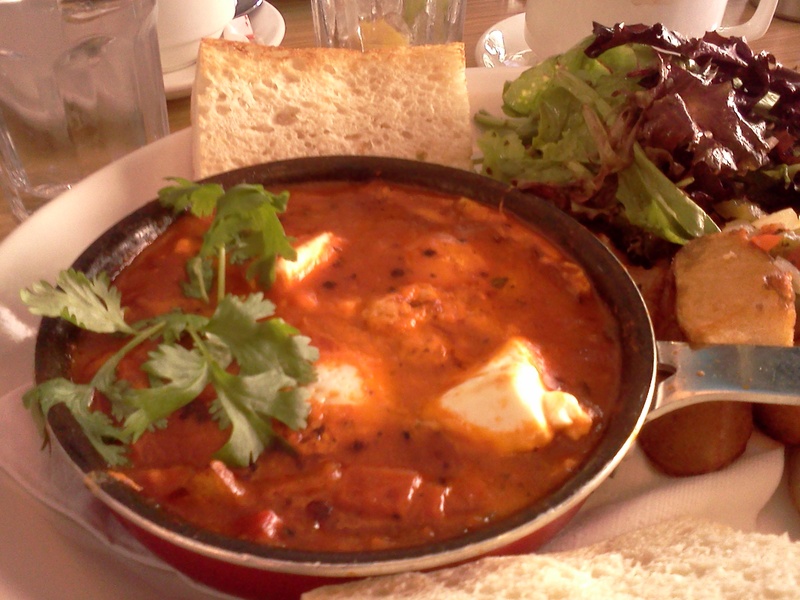 I had very tasty baked eggs in a tomato sauce with goat cheese and some herbs. all additional brunch cocktails are $4.